PLAYTOP SAFARI,Convert any smooth surface into a play area for your baby with this Playtop Safari! 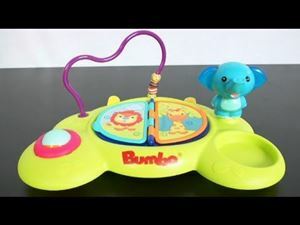 The Bumbo Playtop Safari is a perfect sfari themed product for your baby's entertainment and motor developing skills at the same time. It can be attached to any smooth surface with its suction cup and converted into a play area.